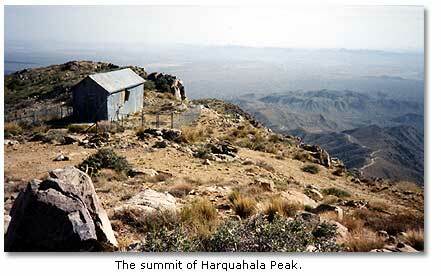 Harquahala Peak, at 5681 feet in elevation, is the highest point in southwestern Arizona. From the top of the peak  located in the Harquahala Mountains, about 90 miles west of Phoenix  you can see California 75 miles to the west, Nevada 110 miles to the north and Mexico 120 miles to the south. Even today, the vistas are usually clear, free of air pollution. The elevation and clear air led the Smithsonian Institution’s Astrophysical Observatory, in 1920, to choose Harquahala Peak as a site to build Harquahala Peak Observatory for studying the sun. Compared with today’s earth-orbiting observatories and Mars rovers, the instruments employed by the scientists on Harquahala Peak seem primitive. They used a theodolite  a simple surveying instrument  to measure the sun’s altitude above the horizon; a pyrheliometer  a temperature measuring device  to gauge solar energy at set intervals; a pyranometer  an electrical instrument  to measure the heat of the solar atmosphere; and pens and pencils  not computers  to process raw data. 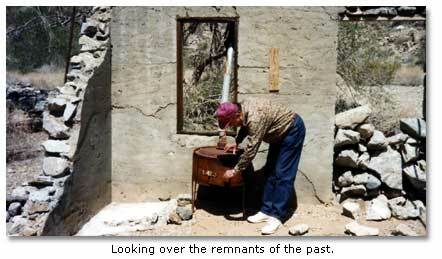 Until they could string a telephone line, they used a heliograph (signal mirror) for communications. The scientists had to hike three hours to reach the mountaintop facility. They had to use burros to pack construction materials, supplies, water, equipment and instruments up steep slopes to the site. Once they compiled their observations and calculations, they sent them to Washington, where other scientists could compare the results with those from another solar observing facility and use them in to develop forecasts of the nation’s weather. The Smithsonian used the facility for about five years before it transferred the operation to Table Mountain, California. Today, all that remains of the original facility is a single, dilapidated tin-sided building resting on a stone foundation. It was a wild area then. It’s a wild area now. That’s what attracted several friends and me to visit the region. We began our adventure at the community of Aguila (Spanish for “eagle”), intrigued by a view of Eagle Beak Arch (Pico del Aguila Ventana), a natural window in a ridge of igneous rock near the top of the 2858-foot-high Eagle Eye Peak. We took Eagle Eye Road south from Aguila to the foot of the peak, which lies on state trust land. We hiked up the boulder-strewn south side of the mountain to reach the arch, which measures 50 feet wide and 30 feet high. It overlooks a spectacular drop to the north, with a view of Aguila, in the midst of an agricultural district and historic mining district. We found another, smaller arch nearby. 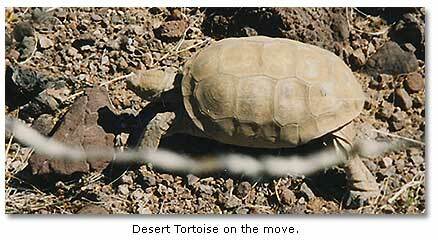 We shot pictures, had lunch and hiked down, encountering one of the endangered desert tortoises on the way. We continued south on Eagle Eye Road, stopping occasionally to check out old mine sites, mindful of the usual “No Trespassing” signs and the inevitable potential dangers of abandoned mines. Some 18.5 miles south of Aguila, we came to Harquahala Peak, administered by the Bureau of Land Management, and the road that leads up to the solar facility. It is a rugged, steep, 10.5-mile, four-wheel-drive climb to the top. The BLM warns of the risks of abandoned mines, “rattlesnakes or other poisonous creatures,” and sudden “violent and dangerous” thunderstorms. You will find no facilities. You have to go fully prepared to be self-sufficient. The rewards, however, will be spectacular views, solitude and a historic scientific site. 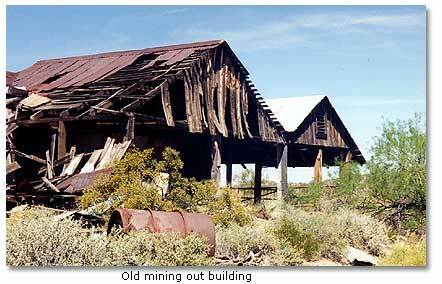 On the way up, we stopped at an old cabin and mine site for lunch. As allowed by the BLM, we paused at a secluded box canyon for some target practice, policing up our spent brass afterward. When we reached the peak, we could feel a temperature drop, a welcome relief from the heat of the surrounding Sonoran Desert. We found that, if you would like, you can still hike part of the old burro trail the Smithsonian scientists used in hauling gear up the mountains in the 1920’s. Although the tin building is all that remains of the original facilities, the summit still serves technological purpose. A large array of experimental solar panels, operated by Arizona Public Service and the Central Arizona Project, produce electricity. Microwave and other radio relay towers operate at the crest. After we explored the top of Harquahala Peak  the highlight of our trip  we returned down the mountain. We continued south, crossing Interstate 10 to the Eagletail Mountains and Courthouse Rock. The Eagletail Mountains, named for a distinctive set of pinnacles, and Courthouse Rock, named for its stateliness, comprise parts of a vast desert wilderness preserve about 70 miles west of Phoenix. It encompasses steep cliffs, canyons and plains; and it serves as home for bighorn sheep, desert mule deer, various reptiles and a diverse plant community. We found a level five-mile long hiking trail to prehistoric Indian village site in the wilderness, where motorized vehicles are not allowed. The trail leads to a rocky canyon, which becomes increasingly steep sided. The stone walls are covered thousands of petroglyphs that span a thousand or more years of Indian habitation. The streambed is littered with chalcedony, pottery shards and stone tools. They must be left where they are found. (In fact, the Archaeological Resources Protection Act of 1979 makes the collection of artifacts or destruction of archaeological sites on government land a criminal offense.) With luck, in the early evening, you’ll see desert bighorns at a watering hole set up in the region by the Arizona Game and Fish Department. We next found a suitable campsite, on BLM land. There I discovered that I had not checked all my camping equipment properly. The power supply for the pump for my air mattress had gone bad. Not a happy circumstance on a rocky desert floor. Never one to resist a challenge, I jury-rigged a way to use my vehicle battery to operate the pump. It worked for two nights. Of course, it smoked what was left of my air mattress pump. Next time, I’ll check my equipment before I leave. To reach Eagle Beak Arch and Harquahala Peak from Phoenix, you can take Federal Highway 60 to Aquila and turn south on Eagle Eye Road to reach the sites. To reach the Eagletail Mountains and Courthouse Rock, you can continue southward on Eagle Eye Road to Salome Road then turn back southeast to cross Interstate 10, at Exit #81. South of Interstate 10, you will be on Harquahala Valley Road. Follow it for five miles. You will come to Courthouse Road, which has an unpaved surface. It will lead you directly west to Eagletail Mountains and Courthouse Rock. To reach the Eagletail Mountains and Courthouse Rock directly from Phoenix, drive west on Interstate 10 for about 70 miles to reach Exit #81, then follow the Harquahala Valley and Courthouse roads to your destination.